Observations and techniques in setting up and working with both types of boards. One day on a freelance gig I walked into the room to discover that the A/V company provided me with an older analog console with two racks of outboard gear. While setting up front of house and patching in all of the effects and processing, I found myself wishing for a digital console. The very next freelance gig I was presented with a brand-new digital console and no extra gear at front of house. As I waded through menus trying to set up a console that I ‘d never used before and struggled to read the manual I’d just downloaded on my phone, I found myself wishing for an analog console and some simple outboard processing. The death of analog consoles and processing hasn’t happened yet, nor will they go away in the foreseeable future. Many sound companies and installations still utilize analog components, and there are “old sound guys” like me who still like to grab knobs instead of sort through menus. For shows with just a few inputs, analog is usually the most cost-effective choice, and for some larger shows they’re a proven item that (often) sound great while offering all of the necessary features needed. 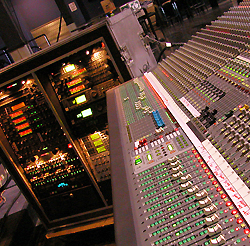 If you work in only one venue, you learn the console and system, and have adapted a workflow for that gear. If you freelance a lot like me, there’s the need to adapt to whatever console and equipment is provided. Here are some of the approaches I’ve developed over the years. I have slightly different setup routines depending if it’s a digital console or an analog model with outboard processing. The first thing I do, if at all possible ahead of time, is ask what gear is being provided so I can download the manuals and quick start guides if I don’t already have a copy. There are folders on my laptop filled with manuals for consoles, outboard processors and recording units, so answers can be found quickly at a show even if I don’t have internet access. If I find out about the gear in advance then I print out a quick start guide and/or pertinent pages of a manual (like how to change aux sends from pre to post) for quick reference at the gig. It’s also a good idea read the manuals on unfamiliar gear before the show. With analog consoles at FOH, I start by setting up the outboard racks close to the console so the patch cables can reach. Depending on how the equipment is packaged I may place the console on top of the outboard racks to save space or put the outboard racks off to the side at a 90-degree angle. Next up is figuring out what’s needed with respect to inputs, outputs and processing. Digital consoles usually have processing available for every input and output, but analog requires a bit of forethought, including strategies and “workarounds” when processing channels and devices are limited. Digital consoles, particularly more recent models, carry an impressive amount of processing onboard. Once the game plan is ready, I kick things off by patching the outputs for the main loudspeakers as well as any delay and fills. This involves running short patch cables between the console outputs and the outboard EQs in the rack, then patching the amplifiers (or powered loudspeakers) from the outboard EQ units. There may be the need to patch in a delay unit as well if running remote loudspeakers. Once the loudspeakers are patched, it’s time to can address any output feeds that are needed, such as an audio send to video world or a feed to lobby loudspeakers.